Magnetic door locks work best on glass doors in a commercial property. At DC Local Locksmith Experts, our commercial locksmiths can install these locks in either a “fail-safe” or “fail-secure” mode so that in case of a power outage, the locks will either remain locked or all unlock. We will let you know which option is best for the doors in your business. At DC Local Locksmith Experts, our local DC commercial locksmiths excel at installing and repairing magnetic door locks for businesses. We are a local company that services Washington, DC and the surrounding areas. We understand the need for security for your business and we have made it our goal to provide you with the security you require. You can rely on us for all of your commercial locksmith needs. 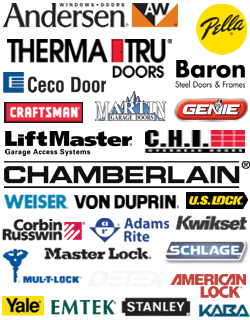 We install and repair all types of commercial doors and locks. We pride ourselves on providing dependable, professional service 24/7. By providing you with complete locksmith services in Washington, DC, we will create a sense of security and importance should the unthinkable happen and you find yourself locked out of your business in Washington, DC. One of our many specialties are magnetic locks that are installed on your door frames within your office building. These strong magnets will keep a door secured while allowing easy access into and out of a room. 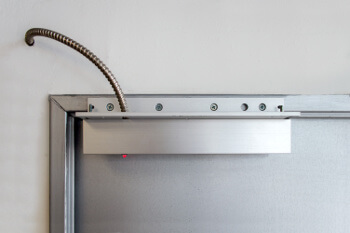 Our technicians are bonded and insured with 5+ years of experience to install magnetic locks on commercial doors. We offer competitive and upfront pricing combined with expert technicians who expediently provide installation and repair services. We have become known for being a premiere company through our commitment to excellence, but most importantly, by making each customer we serve our number one priority. If you are in Washington, DC or the surrounding area, DC Local Locksmith Experts can replace your conventional interior door locks with up-to-date magnetic door locks. Once installation has begun, our technician will not leave the site until installation is complete and you are comfortable with accessing your offices. Installation of magnetic locks allows for easy access into and out of any room in your establishment that requires security with ease of access. Magnetic door locks eliminate the problem of constantly checking behind yourself to be sure your door is closed. Magnetic door locks prevent customers,or non-employees from walking by your office and seeing customer files or other sensitive information. We provide a multitude of commercial magnetic lock services to offices, banks, supermarkets, government buildings, malls, or any other type of commercial establishment imaginable. Never again will you need to be concerned with the security of your information, all because you mistakenly thought you pulled your door closed and the mechanism failed. We are known in Washington, DC and surrounding areas for being fast and friendly locksmiths. No matter what you require, DC Local Locksmith Experts has the qualified technicians you need to get your business back on track. If you were to be locked out of your business, it will cost you time and money. At DC Local Locksmith Experts, we provide fully mobile locksmiths who are bonded and insured, and are on-call 24/7 to install and repair your magnetic locks. Our mobile technicians guarantee a 30 minute response time because your time is important to us. 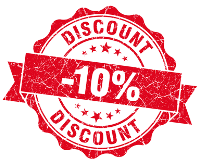 We will provide you with upfront pricing prior to any installation or repair work. DC Local Locksmith Experts is known for providing excellent, complete locksmith service in the District of Columbia. Our fast and friendly staff are highly trained with 5+ years’ experience and are available to you 24 hours a day, 7 days per week. We are always striving for excellence and keep our technicians trained with the latest business security solutions. Our friendly demeanor and upfront pricing will make the installation of your magnetic door locks a pleasant experience. Our professional technicians are extremely dependable, providing excellent service with honesty and integrity while helping you to maintain a sense of security. Allow DC Local Locksmith Experts to provide you with the business security you require and add you to our list of satisfied customers. Magnetic Door Lock Installation & Repair https://dclocallocksmith.com/commercial-locksmith-dc/magnetic-door-locks-dc/ 3.7/5 based upon 13 reviews.